As a big thanks to our readers and to take some of the stress out of keeping kids happy during the long Summer holidays, Asian Express are giving away five family passes to the Alton Towers Resort to experience two exciting new attractions in 2016. Prepare for a new flight on Galactica, the world’s first rollercoaster with fully dedicated virtual reality. Upon mounting the ride, thrill seekers each receive a pair of specially-modified virtual reality goggles. Riders then zoom around an 840 metre long track at nearly 50mph. It really feels like you’re soaring into another dimension and experiencing the next frontier of space. For guests seeking a dining experience with a twist, the UK’s first Rollercoaster Restaurant, launched in May, is set below a vast rollercoaster track where diners can watch as their order tackles two gravity defying loop-the-loops! The new attractions join over 50 rides and attractions at the Alton Towers Resort. There is something for everyone to enjoy, whether you’re after gentle thrills or pure adrenalin pumping experiences! 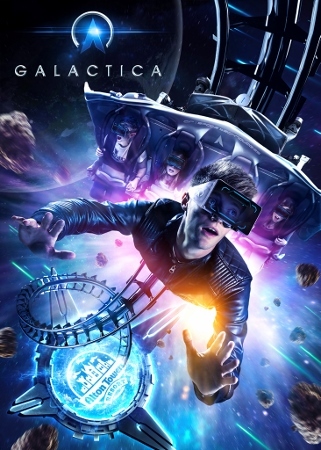 Galactica is one of the first rollercoasters to feature virtual reality. But how long is its track? Send your answer, name, contact number, and address to competitions@asianexpress.co.uk for your chance to win. Entry closes for this competition on Thursday 30th June. Good luck! The family pass consists of four tickets and is valid for any one day of the theme park season which runs from 19th March-6th November 2016. The pass is for entry into the theme park only and does not include food or drink. Tickets are non-transferable.